The historical German house of Hanover Pelikan has accustomed us to beautiful versions of his famous Souveran. This special edition is called Marine blue and is made of a transparent resin splendid demonstration-blue ocean. Loading as expected plunger, perhaps the best of all and 14kt white gold nib rhodium. Finishes pen rhodium plated. 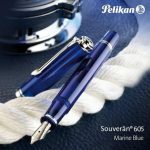 The Pelikan Souverän M805 Vibrant Blue Fountain pen will become available in February. Pre-order yours now ! 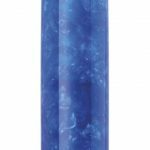 The vibrant blue acrylic material which was used for the Pelikan Souverän M805 Vibrant Blue Fountain pen had to undergo several production steps until it looked as varied and interesting as it is. 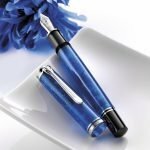 The details of the Pelikan Souverän Vibrant Blue are palladium plated. This Pelikan Souverän Special Edition in Vibrant Blue will be produced for a limited time. 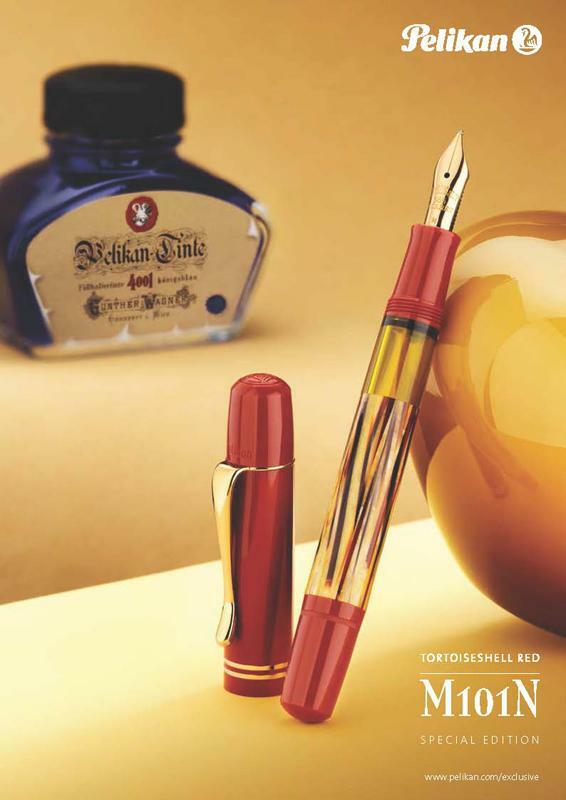 The Pelikan Souverän M805 has a large, hand-crafted, finely engraved 18 carat gold nib with rhodium decoration.If you love classics, you own a Souverän writing instrument.Pelikan offers coveted objects of desire: Elegant writing instruments distinguished by a supreme sense of style. Whether as exceptional collector’s pieces, cherished gifts or items of timeless beauty, their spirit will inspire.Uncommon materials and singular design. Fine writing instruments find admirers among connoisseurs and casual users alike. It’s nearly always love at first sight – or first stroke. Fascination and passion, far more than the sum of its parts. Finely crafted in more than 300 individual steps, a testimony to dedication, precision and perfection. Designed to inspire. The collection is available also as twist ballpoint and as rollerball with cap. A combination of colors dream, inspired by the world of coffee. 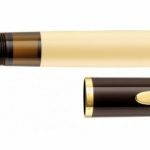 If you appreciate the finer things in life, you will know also how to enjoy them, whether it be of delights from gustareo objects to use as a pen that writes smoothly and effortlessly glides on paper. The beautiful color was the inspiration to make this fountain pen, created for connoisseurs and for all those who appreciate the things that really matter in life. 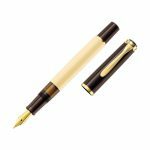 The fountain pen 200 Cafè-Créme is a Special Edition will only be available for a limited time. The stainless steel nib of the fountain pen M200-Café Créme and decorative elements are finished in gold. Both parts dark brown both the stem are made of cream-colored glossy resin of high quality. Nibs available in shades EF, F, M and B. It is availale also as ballpoint with tha classic Pelikan push button mechanism.